NAHBS 2014 visitors may have seen a disc brake version of the Ritchey Swiss Cross bike sitting in the Ritchey booth, brazed by Tom Ritchey himself (see our review of the canti Ritchey Swiss Cross in Issue 15). 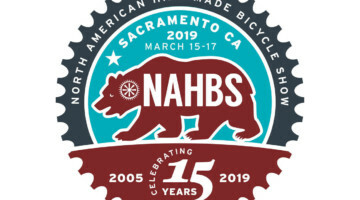 Astute observers may have noticed that the bike was being displayed with a new Ritchey WCS disc brake fork with a straight, 1-1/8″ carbon steerer—a rarity in these days of tapered head tubes and steerers. We had a chance to talk with the folks at Ritchey about this new product, and have one in hand for a full review in the near future. 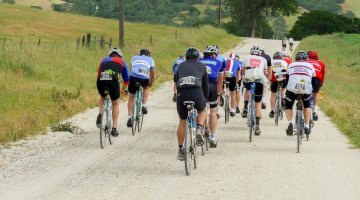 What’s the big deal with a straight steerer? 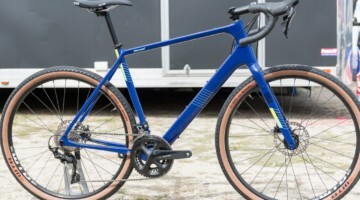 Since the return of disc brakes, nearly every fork manufacturer save Wound Up has introduced cyclocross forks for disc brakes with tapered steerers, citing the need for oversized steerers (and crowns) to past EN testing and counteract the braking forces of a disc brake. Ritchey has engineered this full carbon fork to handle a disc brake’s forces while still maintaining the weight savings, older bike compatibility and ride quality offered by a straight carbon steerer. Long-time readers will remember our first experience with tapered steerers way back in Issue 8, in testing the original Focus Mares carbon cyclocross bike with a tapered 1-1/4″ to 1-1/8″ steerer, and we remarked that the front end and stout fork “might be overly stiff.” Our tester remarked, “As soon as I hit less stable surfaces, the front end seemed twitchy and was punishing.” Since then, manufacturers have gone even bigger, with some moving to 1-1/2″ diameter tapers, and front-end stiffness, in general, has increased. 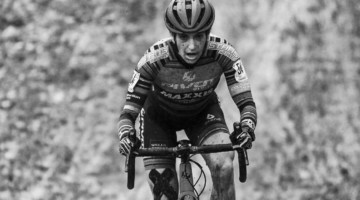 Ritchey believes for cyclocross, it’s unnecessary, and that compliance matters more. 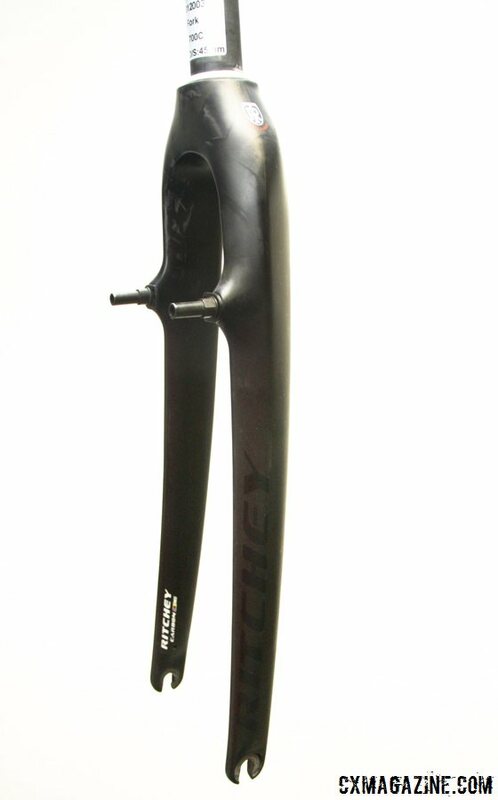 In developing their new Ritchey WCS Carbon Disc Cross Fork, the company also redesigned its WCS Carbon Cross fork for cantilever brakes. 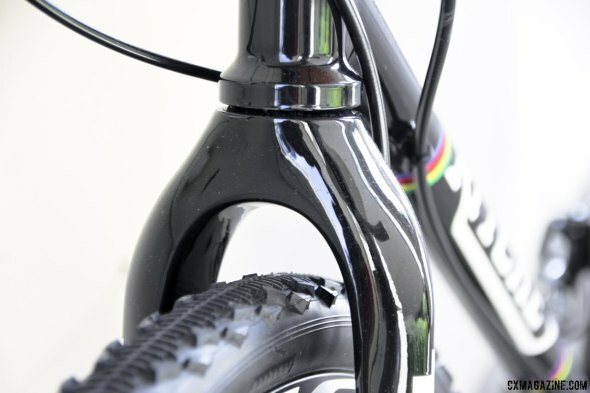 The new canti fork has also received a tweak in geometry, losing 5mm in axle-to-crown distance, with both the disc and canti fork now settling on the standard 395mm length. 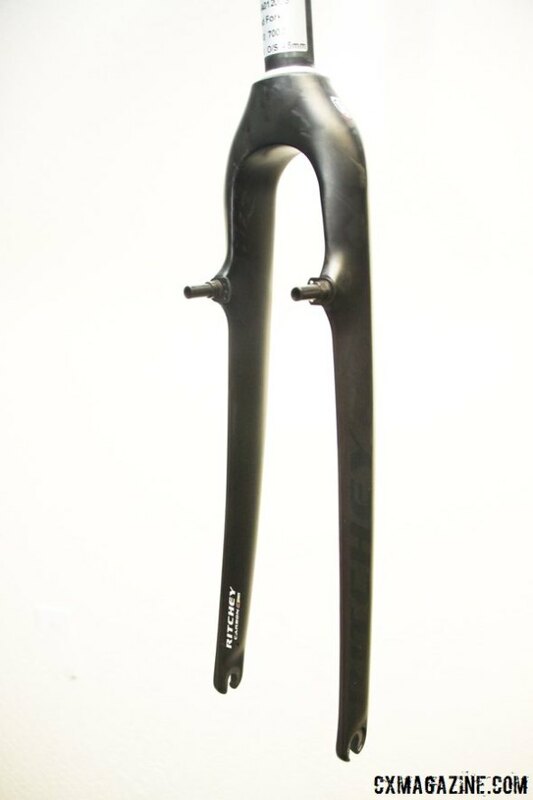 Both forks, we’re told, will retail for $449.95 $399.95, and both will weigh around 440g. Our test disc brake fork, with an uncut steerer weighed an impressive 441g, and 464g with Ritchey’s steerer plug. That’s certainly lighter and more affordable than Ritchey’s main competition. 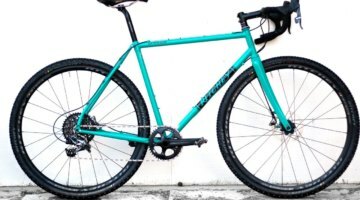 The straight steerer offers cyclocrossers with older bikes, or upcoming custom bikes, more options. 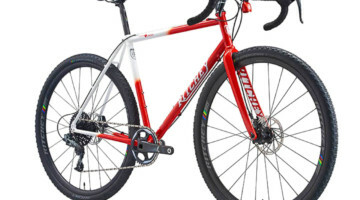 Older bikes can now be retrofitted with front disc brakes, arguably where most of the braking power is needed, and owners of the first generation of disc brake cyclocross bikes (including Redline and Cannondale bikes from the early 2000’s) can now replace their forks with a lighter, full-carbon model. Custom builders, especially steel and titanium builders, also have a new disc brake fork option to save customers weight and money. They don’t have to have an expensive, oversized 44mm head tube that typically weighs as much as 100g more than a standard head tube. Combined with the $100+ savings when selecting the $449 Ritchey WCS over a tapered fork, the customer can save some money and weight. The disc fork is built with post mounts set up for 140mm rotor, and adaptors can be used to work with 160mm rotors. 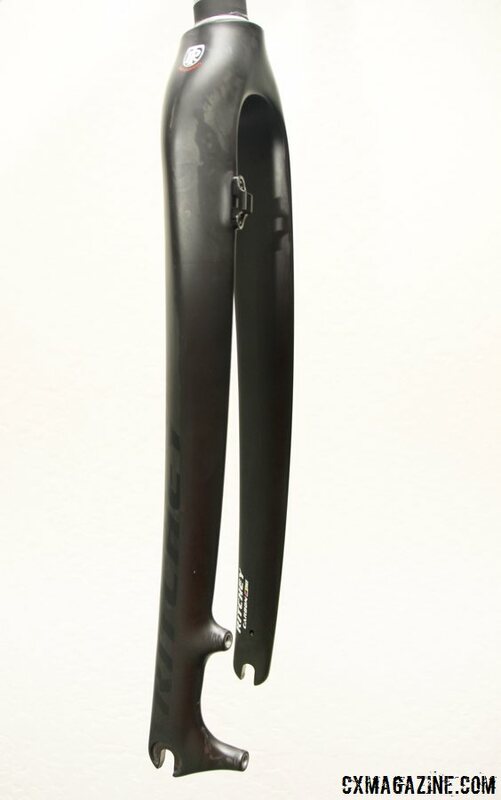 The fork is full carbon, including the dropouts, and both the disc and canti fork now featured an integrated crown race that is compatible with any headset featured a 45 degree tapered bearing interface. 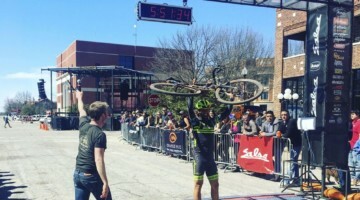 Coffey said FSA, Cane Creek and Chris King all work fine, in addition to Ritchey headsets, of course. 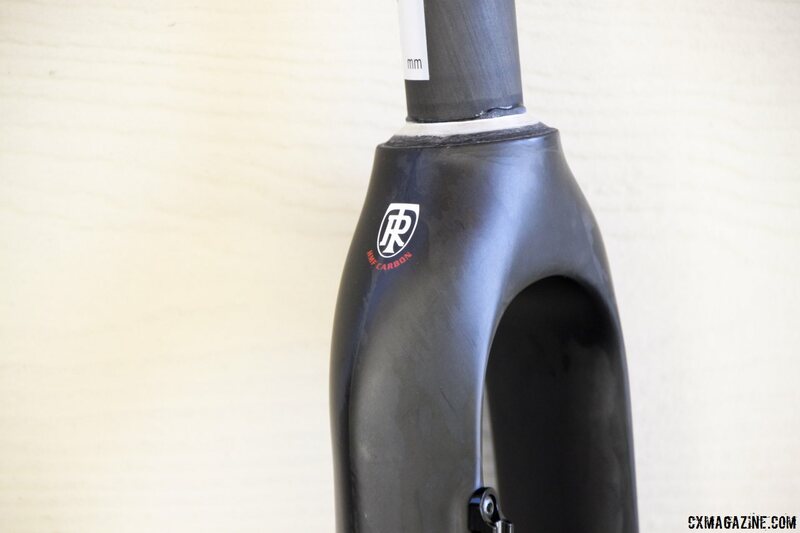 The integrated crown race may be a curious feature, and while it saves a bit of weight, it also helps Ritchey avoid sharper angles for the continuous carbon fibers that run from the dropouts through the steerer. “Carbon doesn’t like making 90 degree turns,” says Coffey. Price and weight are of course irrelevant if you don’t like the ride of the fork. 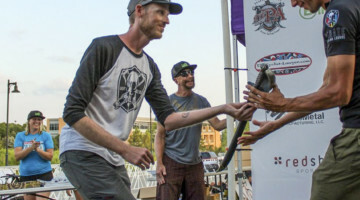 If you’re a fan of stiffer-is-always-better, you probably don’t need to read further, but Tom Ritchey and the team at Ritchey describe the company as a “ride quality company” and design their forks, frames and components around this philosophy. 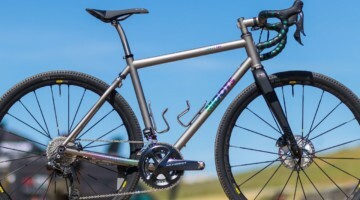 Their new WCS disc brake cyclocross fork, along with their updated WCS cantilever cyclocross fork, are designed to offer vertical compliance for a smoother ride. 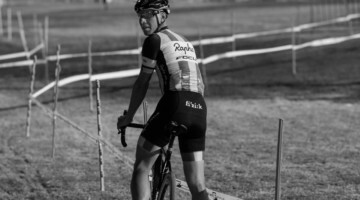 Anyone who rode their last few iterations of cyclocross forks can attest to the forks’ relative compliance, with some tendency for brake chatter, but Ritchey’s Sean Coffey balks at the suggestion that Ritchey forks are chatter prone. “It’s got a lot more to do with brake pad length and how sloppy the brakes are [than steerer diameter],” Coffey explains, and by using shorter pads and brakes that are not loose on the post, he believes a mechanic should be able to set up their cantilever brake fork to be chatter-proof, without relying on the linear pull brakes or a fork-mounted cable hanger (there isn’t a piercing for cable hanger anyway). The one thing that we’re really happy Ritchey kept is the extremely generous tire clearance on its cyclocross forks. 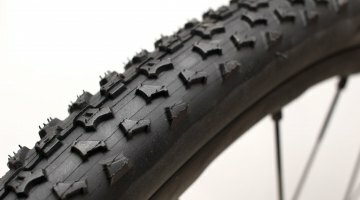 On the previous cantilever model, 45c tires and narrower 29er tires fit without issue, and with a standard cyclocross tire, there was plenty of mud clearance. 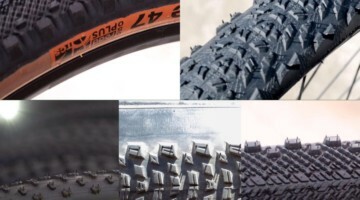 On the new versions of the forks, the clearance looks to be almost as good, pleasing monster crossers and fat tire gravel racers. 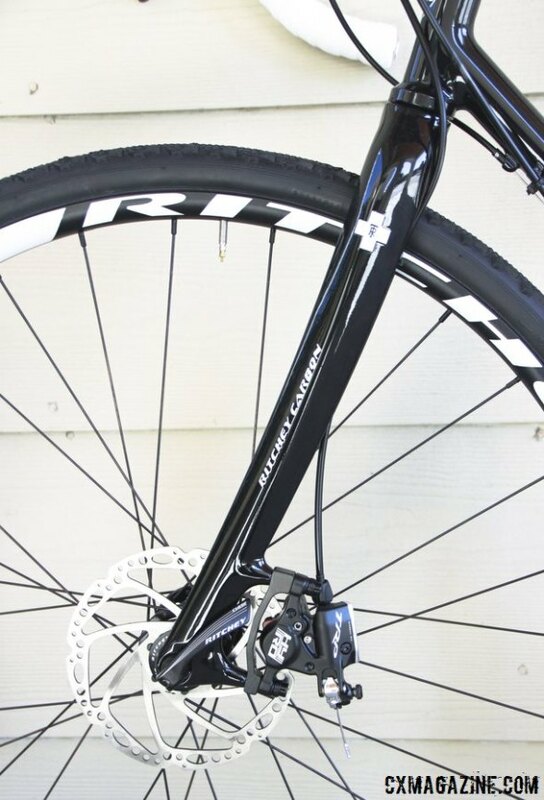 Stay tuned for a full review of the Ritchey WCS Carbon Disc Cross Fork. 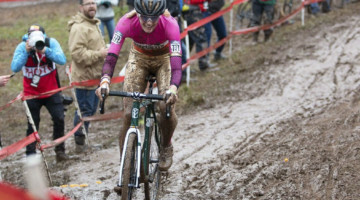 Massive mud clearance, as with older Ritchey cyclocross forks. Separated at birth - the straight steerer disc and canti forks. Built-in bearing race saves weight, avoids sharp angles for the carbon fiber. 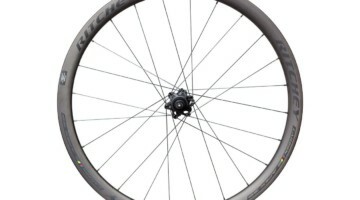 Set for 140mm, but can be adapted for 160mm. 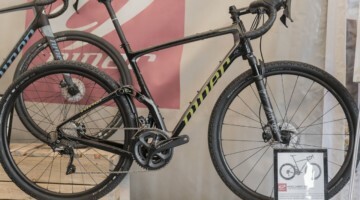 Ritchey kept a canti model, but it's all new for 2015. 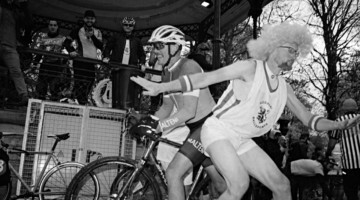 Thicker fork legs suggest increased lateral stiffness. Numbers are attractive: $449, 464 grams. cyclocross good to see. A wcs would be a nice addition to my venerable poprad. Chatter shouldn’t be an issue with disc either. 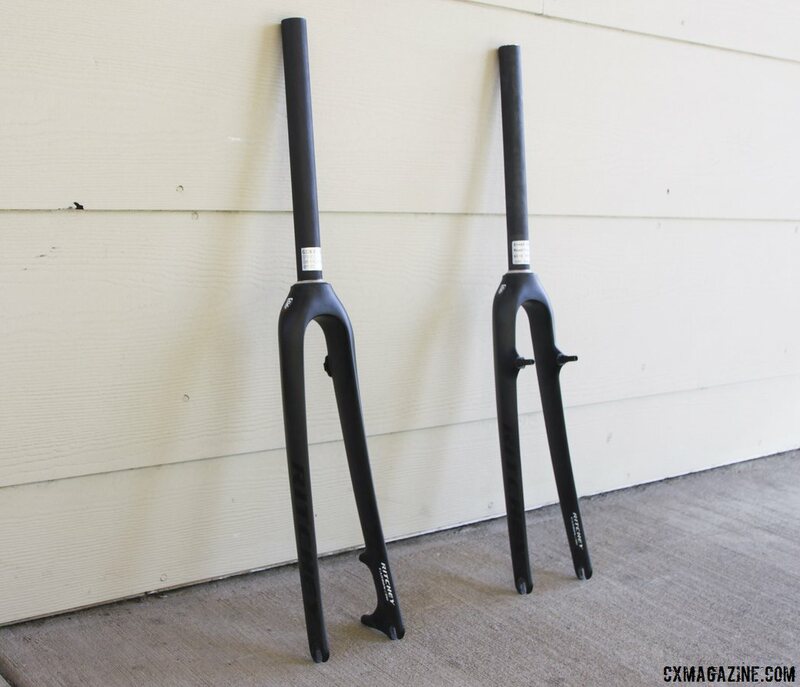 Some info regarding the use of these forks with standard Chris King headsets: This article says the integrated crown race on these forks “should work” with Chris King headsets. I bought one on this basis, and discovered that the Chris King headsets require a baseplate to be installed on the fork crown, and this baseplate interfaces with the bottom bearing cup and creates a seal. The Ritchey fork’s “integrated crown race”, which is a 45 degree angled steel piece at the joint of the steerer tube and the crown, isn’t exactly the same shape as the Chris King base plate, and obviously the Chris King baseplate can’t be installed over the Ritchey integrated crown race. 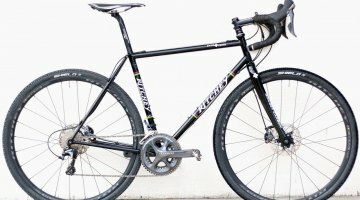 I contacted Chris King to find out how to install the Ritchey Fork with their headset, and they said the two are simply not compatible (despite what it says in the above article). 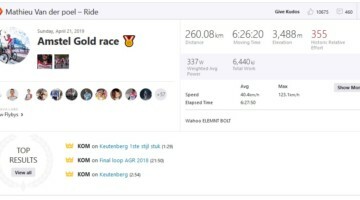 It seemed I might have to buy a proprietary Ritchey headset that is more directly designed to work with this integrated race, which would have meant uninstalling a perfectly good Chris King headset. I took a closer look at the two parts, and it turns out the angled integrated crown race on the Ritchey Fork is the correct angle and diameter to interface directly with the bearing on the headset (which itself has a very small 45 degree surface that interfaces with the crown race or baseplate), so it does in fact mount up to the headset directly, without having to install the baseplate on the fork. I installed the fork directly, and it tightened up beautifully and seems to operate very smoothly with no wiggle, just like it would with a fork that has the Chris King baseplate installed. The only problem is the angled crown race is taller than the baseplate, and therefore there is a gap between the Crown top and the headset cup, which would allow water and dirt to come in contact with the bearing in the bottom cup. I contacted Ritchey about this, and they said they had done the same as I had on some of their own bikes in the shop – mounted the fork directly to a Chris King headset – without problem other than the gap I mentioned, which would be a problem because it would allow contamination into what is supposed to be a sealed headset. 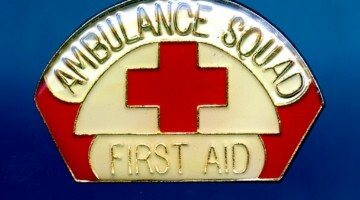 They said they use a special gasket to fill this gap and establish the necessary seal, and offered to send one to me. Problem solved, thanks to Ritchey customer service. The fork performs beautifully, very happy with it and with Ritchey customer service. 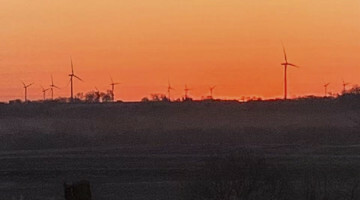 It was pretty hard to find information about this, and Ritchey’s installation manuals could be improved to address this, but customer service was great. alxpeltzer Thanks for the notes on your experience. Sorry that wasn’t clear – integrated crown race means “no base plate” needed. We had a minor issue with one 45 degree headset, in that the fork actually touched the bottom cup, so we had to change out the lowers of the headset for a Ritchey unit. Eventually a list of compatible headsets would be awesome. You could always cover up that lovely King headset with a neoprene boot too but we’re sure that’s not what you were hoping to do. Cheers. cyclocross alxpeltzer I should have mentioned a thank you to CXMagazine for the detailed review – it was the only real detailed info on the integrated crown race that I could find on the web, and I probably wouldn’t have decided to try to use the existing headset if I hadn’t found this story. So thanks. Another update: Chris King customer service has reiterated to me that their headsets are not intended for use with forks with 45 degree integrated crown races. 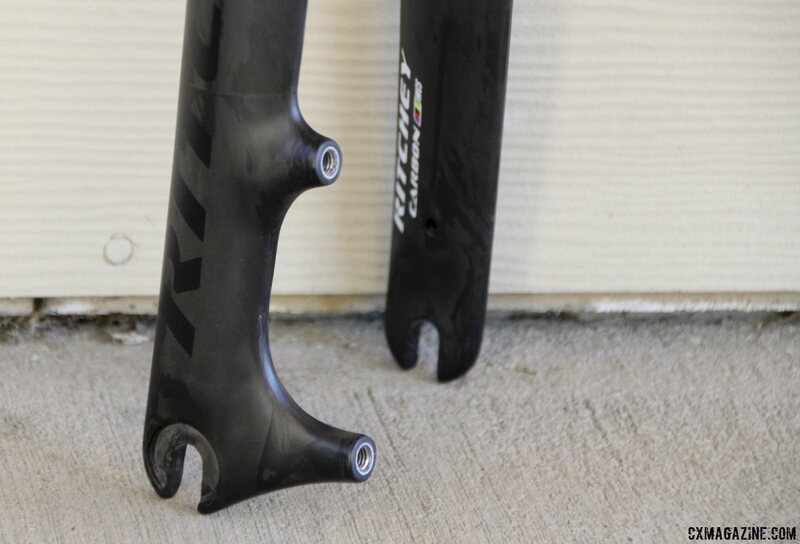 Here is what they told me: “The gap is not the issue with an integrated crown race on your fork. We do not recommend an integrated crown race fork with our headsets because the 45 degree angle is not compatible with our bearing inner race and it preloads our bearing incorrectly. 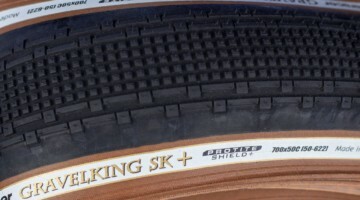 Thus you will experience premature wear on that lower bearing and it also voids our warranty. I hope this shed some light on it and let me know if you have any additional questions.” Very good info, just not the news I was hoping for – a pretty definitive “no-go” on using this fork with Chris King headsets. So now I either keep using at risk of ruining my headset and voiding the warranty, go back to my old fork, or buy a Ritchey headset. I bought ritchey fork integrated crown race and charge plug 5 frame. 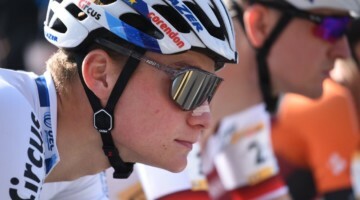 Which sort of fitchey headset will be ok in my situation, if Chris King no thread headset will not fit?